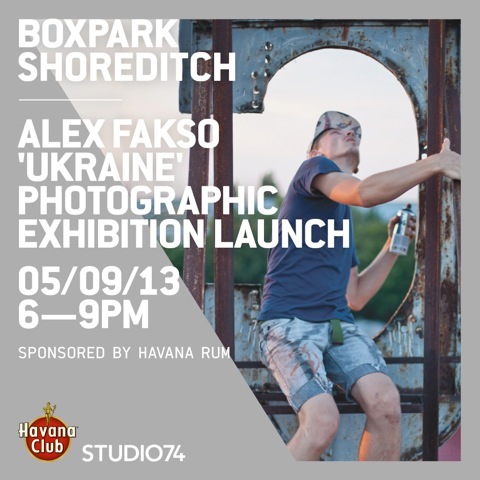 Photographer Alex Fakso has been invited to bring his latest pieces of work from the ‘Ukraine’ series to BOXPARK for a whole month. They will be holding an exclusive launch for the exhibition on Thursdsay 5th September 6-9pm on their upper deck with drinks from Havana Club Rum, live DJs and a chance to chat with Alex Fakso himself. FaKso travels numerous times throughout the year and each trip he embarks upon starts with absolutely no expectations, allowing him to have a fresh and new perspective in his photography every time. One thing that all of these trips do have in common though is the high risk factor (violence, muggings and encounters with the police are commonplace). Known as being a photographer of the underground street culture, FaKso's photographs have the urban/street feel which ties them all together, whether it be sound systems at the Notting Hill carnival, underground (literally) graffiti culture or even simply the portrait of a man. 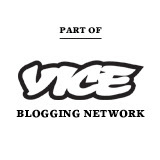 Because of this, his work is very obviously never premeditated or posed giving it a very real and raw feel. This collection of photographs was taken during an improvised trip to Ukraine. The only contact he had in the Country was a man he had never met and had barely spoken to online. This guys idea was for Alex to come and photograph him and his friend whilst being taken around the urban landscape of Odessa. Without any knowledge of the country or its language, FaKso felt completely free to photograph anything that crossed his path.These photos were the direct result of the shock that Alex felt to the very apparent soviet influence on the city and its people.